The death of Max Shatto, an adopted 3-year-old Russian boy in Texas, has been ruled an accident, amid ongoing tensions over the case between the US and Moscow. Max Shatto, adopted from a Russian orphanage, died in Texas on January 21. Russia’s children’s commissioner has questioned the findings of the US investigation, saying the boy has become a “victim of big politics”. Pavel Astakhov sparked controversy last month, alleging he had been murdered by his adoptive mother. Four doctors in Texas concluded that Max Shatto, born Maksim Kuzmin, had died accidentally from a torn artery in his abdomen and had bruises consistent with injuring himself, a statement said. After reviewing the results of his post mortem examination, the doctors said the child’s adoptive parents had done nothing wrong. Russian parliamentarians have called for Max Shatto’s brother to be returned to Russia, and have used the death to justify a ban on adoptions to America. Pavel Astakhov had initially broken news of the death on Twitter, saying the child’s adoptive mother had killed him. On Saturday, he returned to Twitter to say that Russian legal officials should seek access to all the documents surrounding Max Shatto’s death. The medical examiner in Ector County, Texas, said Max Shatto’s death was not intentional, according to Sheriff Mark Donaldson and District Attorney Bobby Bland. 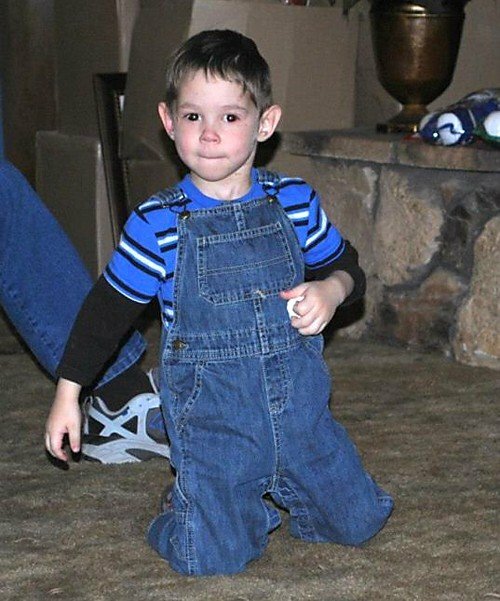 Autopsy results showed that bruises on several parts of Max Shatto’s body were self-inflicted and it was reported that the child had a mental disorder which had caused him to hurt himself. “I had four doctors agree that this is the result of an accident,” Bobby Bland said. However, the investigation over what happened was still continuing, officials added. The prosecutor said that he would see whether to pursue charges such as negligent supervision or injury to a child by omission, after the full results of the investigation were available. Max Shatto was reportedly found unresponsive outside the family home in Gardendale, Texas on January 21. He had been adopted, along with his half-brother Kristopher, last autumn. The Russian consul general in Houston, Alexander Zakharov, said he wanted to see the official report from authorities before commenting on the announcement. Max Shatto’s death came just three weeks after the Russian parliament, the Duma, enacted legislation ending all adoptions of Russian orphans by Americans – a move criticized by the US and by the opposition in Moscow. The adoption ban has been viewed as retaliation for a law passed in the US that would stop Russian officials suspected of human right violations from coming to the US. Russian authorities have said they are pursuing their own investigation into the death.